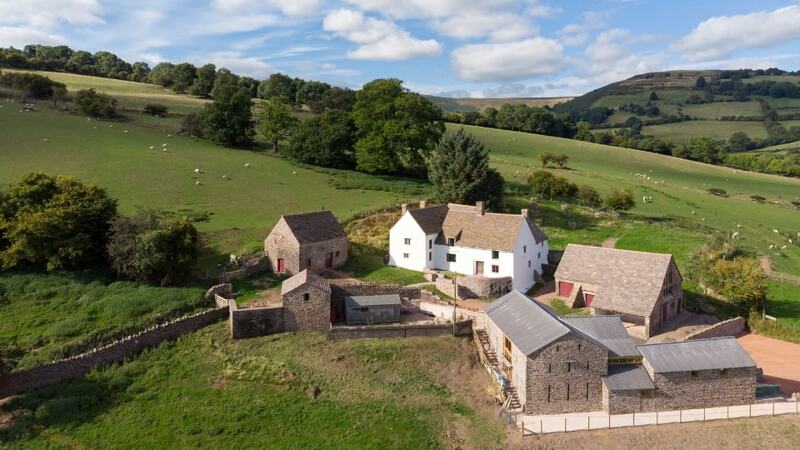 The metamorphosis of the Landmark Trust’s 200th Landmark, Llwyn Celyn, will unfold during two episodes of a new TV series starting soon on More 4. Episode 1 of the long-awaited programme, entitled the ‘£4 Million Restoration: Historic House Rescue’ was broadcast at 9pm on Wednesday 16 January 2019. Episode 2 aired a week later at 9pm on Wednesday 23 January. Filmed closely for over two years, the series charts our ambitious restoration of one of Wales’ most important domestic buildings from start to finish. It showcases visits by Landmark’s Patron HRH The Prince of Wales, groundbreaking timber dating science, rare conservation skills, ecological considerations, the interior decoration and furnishing process and much more. Landmark’s director Dr Anna Keay, furnishings manager John Evetts and historian Caroline Stanfordilluminate the intricacies of one of the Landmark Trust’s most ambitious rescue projects to date. A talented group of building conservation specialists, including roofers, masons, plasterers and carpenter joiners dedicate their expertise to bring Llwyn Celyn’s fragile structure back from the brink.